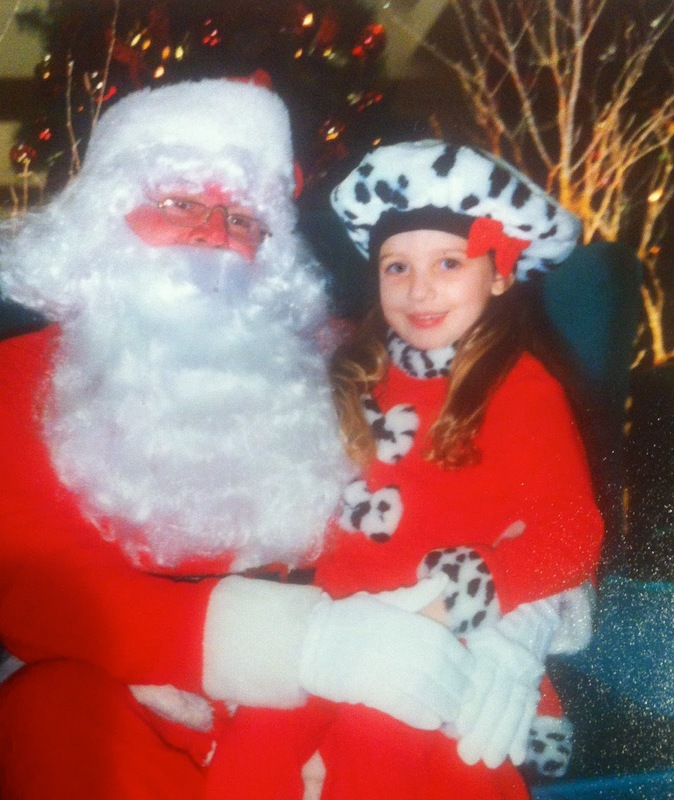 THE SPIRIT OF THE HOLIDAYS…..CHRISTMAS & HANUKKAH TRADITIONS & THE GALA OF NEW YEARS EVE! 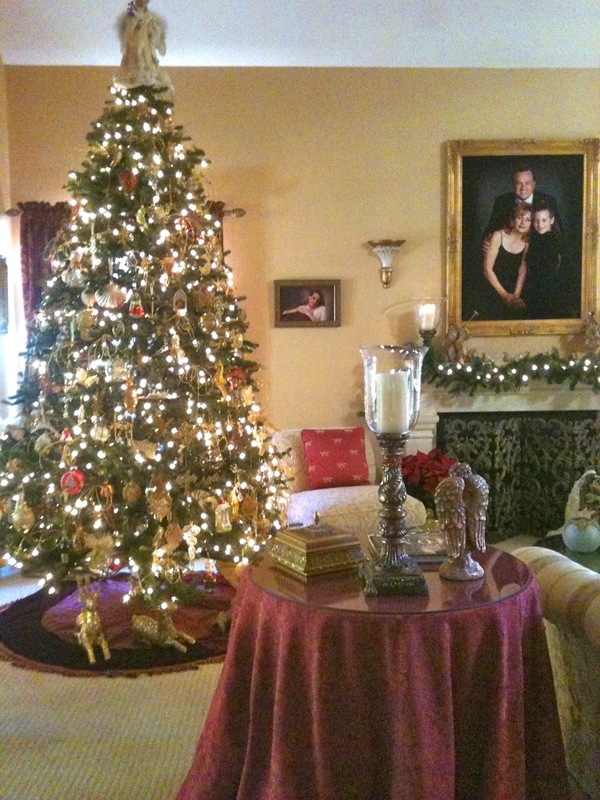 Let me begin by saying since this is the "most wonderful time of the year," why am I so stressed out…?? I do admit that I'm a perfectionist and that is where the troubles lies…I'm from a long line of Italian women, who by there own admission don't want to give up one holiday custom or ritual, so here we are in a modern world with our Traditions! For us to surrender it's like waiving the white flag and I for one refuse to do it….someday when I can no longer decorate, perish the thought, I will sit in my wheelchair and just drink and reminisce about my days hanging from ladders and getting electrocuted by Christmas lights!!! While I'm sipping on an Andrew Murray Syrah, I thought you might enjoy some Holiday Tales of how these great customs came to be….. THE MOMENT IS HERE…"MERRY CHRISTMAS!!" Christmas festivities often include the hanging of the greens. Christmas trees, mistletoe, holly, and poinsettias grace homes, businesses, and churches. Many traditions involving greenery originated in Druid, Celt, Norse, and Roman civilizations, which celebrated the winter solstice around December 21. Because the color green represented eternal life, plants that remained green throughout the year played an important role in these celebrations. 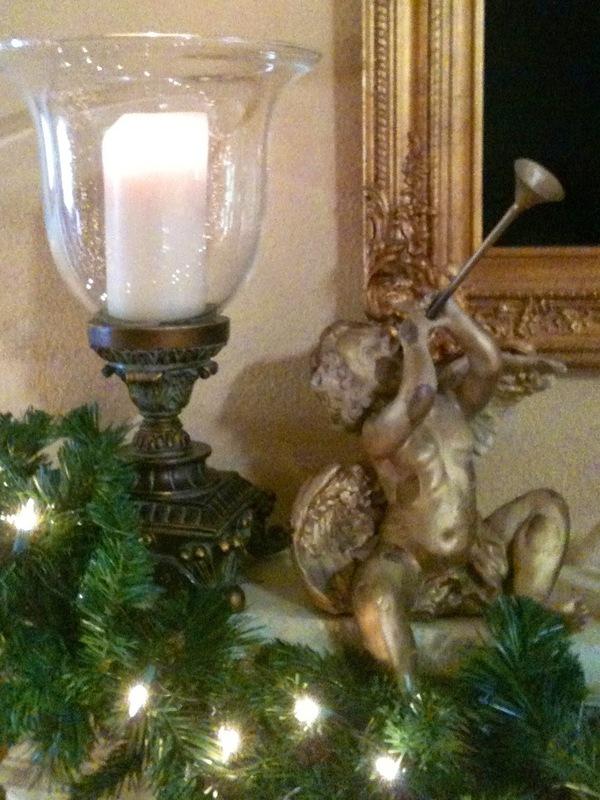 The Romans celebrated the solstice with a mid-winter holiday called the Saturnalia, honoring the Roman god Saturn. They lit candles in their homes, spent time with friends and family, decorated their homes with wreaths and garlands, exchanged gifts, and feasted. As pagan cultures converted to Christianity, they continued many of their traditional winter solstice activities. Because the use of greenery had pagan origins, early church leaders often objected to its use. However, the traditions were so deeply ingrained that the customs continued - but from a Christian frame of reference. Although the Romans used spruce and fir trees decorated with lighted candles and trinkets during Saturnalia rituals, the Christmas tree as we know it is a German tradition believed by some to have originated in the 8th century with Winfrid, an English missionary later known as St. Boniface. Others attribute the origin of the Christmas tree to Martin Luther in the 16th century. Luther, inspired by the beauty of the stars on Christmas Eve night, is said to have cut an evergreen and put lighted candles on it to represent the starry sky above the stable the night Christ was born. By the early 1600s, trees decorated with candies, fruits, and paper roses were a part of the holiday decorations in German homes. In 1841, Prince Albert, Queen Victoria's German-born husband, celebrated the birth of their first son with a Christmas tree at Windsor Castle. The English court adopted the custom, and soon it spread throughout England. In Victorian times, people decorated trees with candies and cakes hung with ribbon. German immigrants brought the Christmas tree tradition to the United States. Settlers most often used the cedar tree as their Christmas tree because of its abundance. They decorated the trees with berries, popcorn, and Christmas gifts for the family. How did the kindly Christian saint, good Bishop Nicholas, become a roly-poly red-suited American symbol for merry holiday festivity and commercial activity? History tells the tale. The first Europeans to arrive in the New World brought St. Nicholas. Vikings dedicated their cathedral to him in Greenland. On his first voyage, Columbus named a Haitian port for St. Nicholas on December 6, 1492. 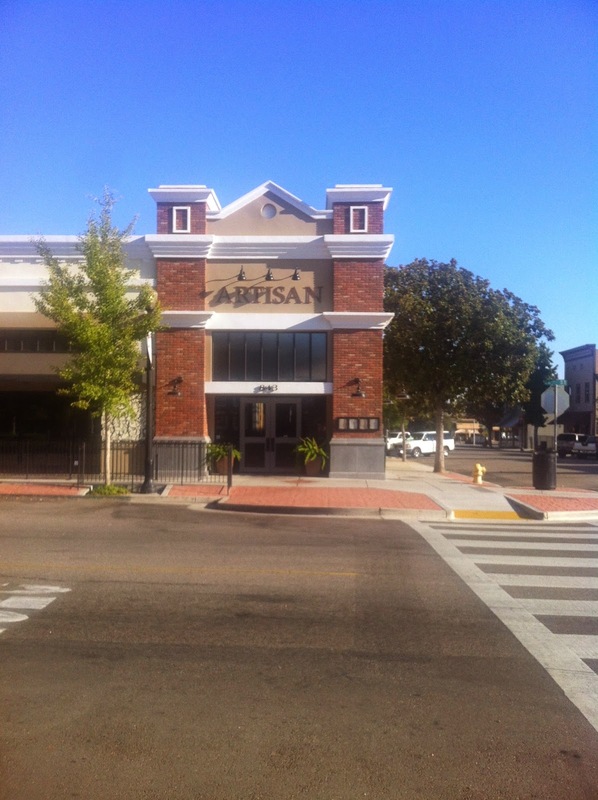 In Florida, Spaniards named an early settlement St. Nicholas Ferry, now known as Jacksonville. However, St. Nicholas had a difficult time during the 16th century Protestant Reformation which took a dim view of saints. Even though both reformers and counter-reformers tried to stamp out St. Nicholas-related customs, they had very little long-term success except in England where the religious folk traditions were permanently altered. (It is ironic that fervent Puritan Christians began what turned into a trend to a more secular Christmas observance.) Because the common people so loved St. Nicholas, he survived on the European continent as people continued to place nuts, apples, and sweets in shoes left beside beds, on windowsills, or before the hearth. The first Colonists, primarily Puritans and other Protestant reformers, did not bring Nicholas traditions to the New World. What about the Dutch? Although it is almost universally believed that the Dutch brought St. Nicholas to New Amsterdam, scholars find scant evidence of such traditions in Dutch New Netherland. 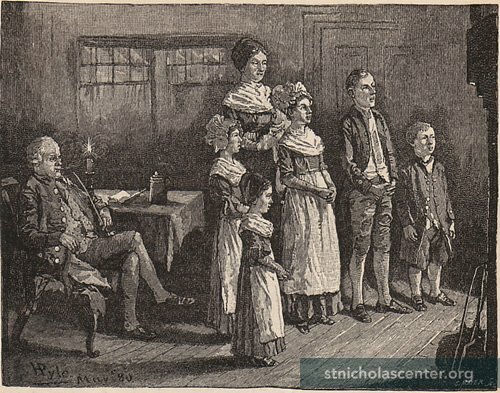 Colonial Germans in Pennsylvania kept the feast of St. Nicholas, and several later accounts have St. Nicholas visiting New York Dutch on New Years' Eve, thus adopting the English custom (New Year gift-giving had become the English custom in 1558, supplanting Nicholas, and this English custom lasted in New York until 1847). In 1773 New York non-Dutch patriots formed the Sons of St. Nicholas, primarily as a non-British symbol to counter the English St. George societies, rather than to honor St. Nicholas. This society was similar to the Sons of St. Tammany in Philadelphia. Not exactly St. Nicholas, the children's gift-giver. After the American Revolution, New Yorkers remembered with pride their colony's nearly-forgotten Dutch roots. John Pintard, the influential patriot and antiquarian who founded the New York Historical Society in 1804, promoted St. Nicholas as patron saint of both society and city. 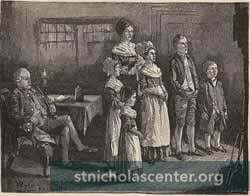 In January 1809, Washington Irving joined the society and on St. Nicholas Day that same year, he published the satirical fiction, Knickerbocker's History of New York, with numerous references to a jolly St. Nicholas character. 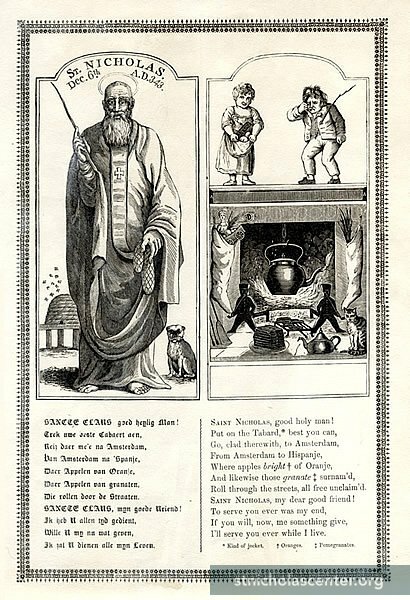 This was not the saintly bishop, rather an elfin Dutch burgher with a clay pipe. These delightful flights of imagination are the source of the New Amsterdam St. Nicholas legends: that the first Dutch emigrant ship had a figurehead of St. Nicholas: that St. Nicholas Day was observed in the colony; that the first church was dedicated to him; and that St. Nicholas comes down chimneys to bring gifts. Irving's work was regarded as the "first notable work of imagination in the New World." --- Aristophanes,The Knights, 424 B. C. E.
iMulled wine dates back to Roman antiquity, but it wasn’t until the 14th century that the mix of wine, fruit and spices gained its name, from an Old English word meaning “muddled.” While the word “muddle” is most commonly used today to denote a generally confused state, in its original meaning, that confused state was brought about with alcohol. It is thought that the process of mulling wine was first employed as a way to save wine that was about to spoil. Charles Dickens gets the credit for elevating mulled wine into a traditional holiday drink. While mulled wine appeared in several of the beloved novelist’s books, it was its appearance in his popular short story, A Christmas Carol, that sealed its place in Christmas culinary history. First and foremost, Hanukkah is a historical, nationalist holiday. It commemorates the successful rebellion, in the second century B.C.E., of a clan of Jewish freedom fighters called the Maccabees. These warriors rose up against Antiochus, a Greco-Syrian monarch who ruled Israel with a hard hand, banning Jews from practicing their faith and pressuring them to convert to a Hellenic way of life. (It is told that his soldiers would even force-feed Jews pork, a kosher no-no.) Despite being greatly outnumbered, the Maccabees managed to recapture the Holy Temple, the premier site of ancient Judaism, from their oppressors. Hanukkah means dedication in Hebrew -- the holiday pays tribute to the dedication of a group of Jews who believed fervently in their right to religious and nationalist freedom. Of course, there's also a religious aspect to Hanukkah. Also known as the "Festival of Lights," Hanukkah celebrates the miracle that occurred when the Maccabees reclaimed the Temple. The sanctuary was a shambles, torn apart by the Hellenic forces. The fighters found only enough oil to light a lantern -- by which to read the Torah -- for one day. But the lantern blazed for eight full days. 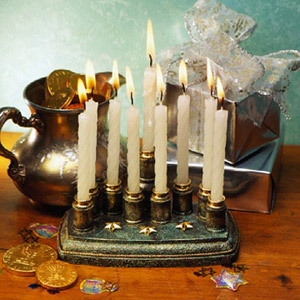 When Jews light the eight candles of the menorah on the eight nights of Hanukkah, they recite a prayer extolling God who "performed miracles for our ancestors in days of old." There is also a seasonal, even pagan, aspect to Hanukkah. Celebrated on the 25th day of the Jewish month of Kislev, during the darkest days of the year, the candle-lighting holiday is a warm, cozy ritual to banish the winter blahs. The focus of the holiday is not so much going to synagogue or reading certain scriptures, but rather staying at home with friends and family, eating, playing, and just spending time together. In the U.S., where Santa Claus rules the month of December, some Jews have incorporated a little bit of Christmas into their Hanukkah spirit. 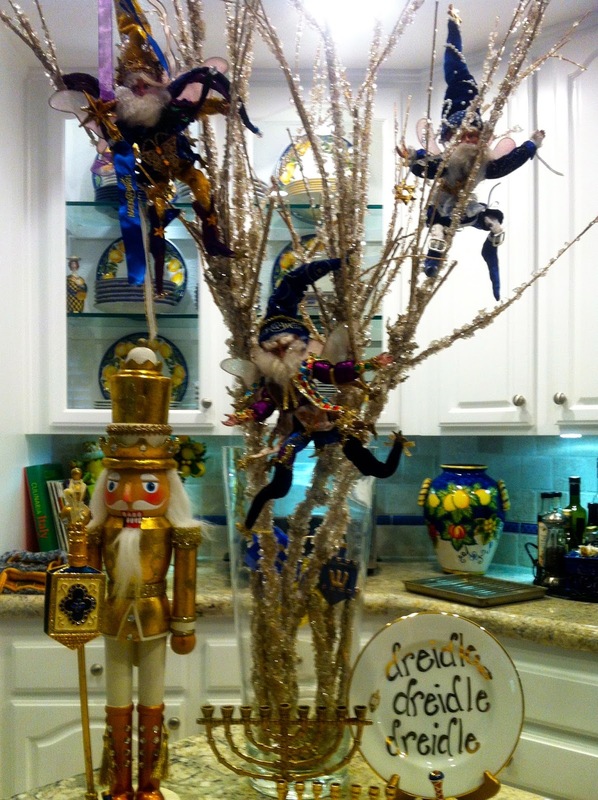 Some families opt to give gifts each night of Hanukkah; others may decorate their house with a "Hanukkah bush." Even though the two holidays have vastly different religious and historical origins and focus, both Christmas and Hanukkah are a beautiful opportunity to open up one's house and heart and spread some joy. A HANUKKAH TRADITION IS MAKING LATKES COOKED IN OIL WHICH IS SYMBOLIC OF THE LIGHT LASTING FOR EIGHT DAYS! The most commonly sung song for English-speakers on New Year's eve, "Auld Lang Syne" is an old Scottish song that was first published by the poet Robert Burns in the 1796 edition of the book, Scots Musical Museum. Burns transcribed it (and made some refinements to the lyrics) after he heard it sung by an old man from the Ayrshire area of Scotland, Burns's homeland. It is often remarked that "Auld Lang Syne" is one of the most popular songs that nobody knows the lyrics to. 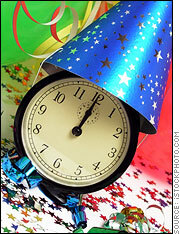 "Auld Lang Syne" literally translates as "old long since" and means "times gone by." The song asks whether old friends and times will be forgotten and promises to remember people of the past with fondness, "For auld lang syne, we'll tak a cup o' kindness yet." The new year is the most important holiday in Japan, and is a symbol of renewal. In December, various Bonenkai or "forget-the-year parties" are held to bid farewell to the problems and concerns of the past year and prepare for a new beginning. Misunderstandings and grudges are forgiven and houses are scrubbed. At midnight on Dec. 31, Buddhist temples strike their gongs 108 times, in a effort to expel 108 types of human weakness. New Year's day itself is a day of joy and no work is to be done. Children receive otoshidamas, small gifts with money inside. Sending New Year's cards is a popular tradition—if postmarked by a certain date, the Japanese post office guarantees delivery of all New Year's cards on Jan. 1. The Spanish ritual on New Year's eve is to eat twelve grapes at midnight. The tradition is meant to secure twelve happy months in the coming year. The Dutch burn bonfires of Christmas trees on the street and launch fireworks. The fires are meant to purge the old and welcome the new. In Greece, New Year's day is also the Festival of St. Basil, one of the founders of the Greek Orthodox Church. One of the traditional foods served is Vassilopitta, or St Basil's cake. A silver or gold coin is baked inside the cake. Whoever finds the coin in their piece of cake will be especially lucky during the coming year. Probably the most famous tradition in the United States is the dropping of the New Year ball in Times Square, New York City, at 11:59 P.M. Thousands gather to watch the ball make its one-minute descent, arriving exactly at midnight. The tradition first began in 1907. The original ball was made of iron and wood; the current ball is made of Waterford Crystal, weighs 1,070 pounds, and is six feet in diameter. A traditional southern New Year's dish is Hoppin' John—black eyed peas and ham hocks. An old saying goes, "Eat peas on New Year's day to have plenty of everything the rest of the year." Another American tradition is the Rose Bowl in Pasadena, California. The Tournament of Roses parade that precedes the football game on New Year's day is made up of elaborate and inventive floats. The first parade was held in 1886. 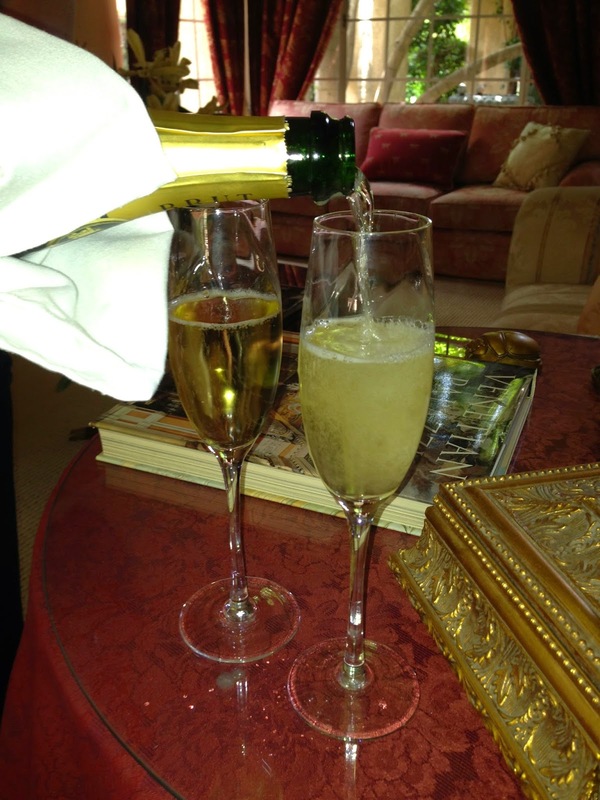 A TOAST TO "2015" A HAPPY NEW YEAR! Widely Observed New Year Symbols and Traditions! Resolutions: It is believed that the Babylonians were the first to make New Year's resolutions, and people all over the world have been breaking them ever since. The early Christians believed the first day of the new year should be spent reflecting on past mistakes and resolving to improve oneself in the new year. Fireworks: Noisemaking and fireworks on New Year's eve is believed to have originated in ancient times, when noise and fire were thought to dispel evil spirits and bring good luck. The Chinese are credited with inventing fireworks and use them to spectacular effect in their New Year's celebrations. HAPPIEST OF HOLIDAYS TO ALL MY FRIENDS AND FAMILY !! SALUTE… THE WINE CONTESSA…..
TEMECULA…IT'S DELIGHTFUL "OLD TOWN" AND SAN DIEGO'S CHARMING WINE COUNTRY! was more than twenty years ago when my sister moved there and since then this little town that could has become a huge tourist attraction and developed a booming wine business!! 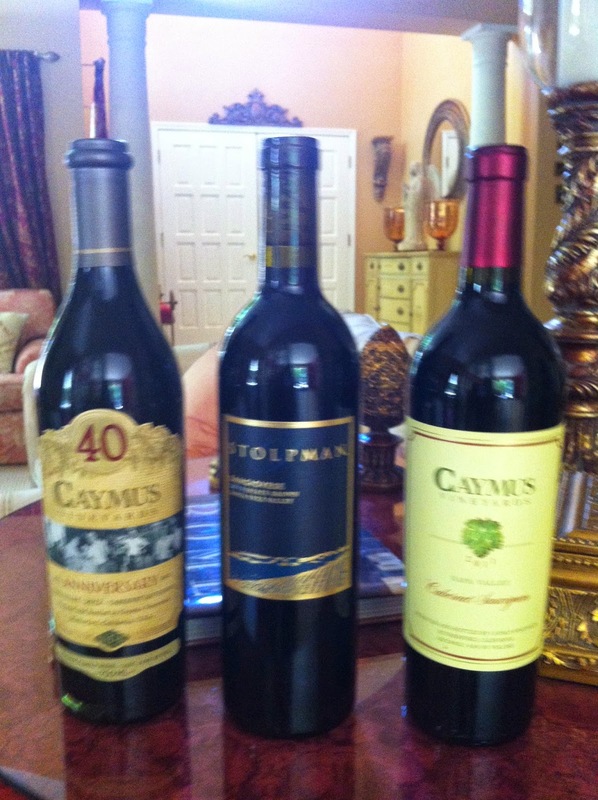 As we head on up to Wine country we can see how this business has grown, the wine that put Temecula on the map was Callaway, which no longer is the case..there are dozens of wineries in the area now and they've starting opening tasting rooms in old town…by the way great idea, if you build it they will come….true words! 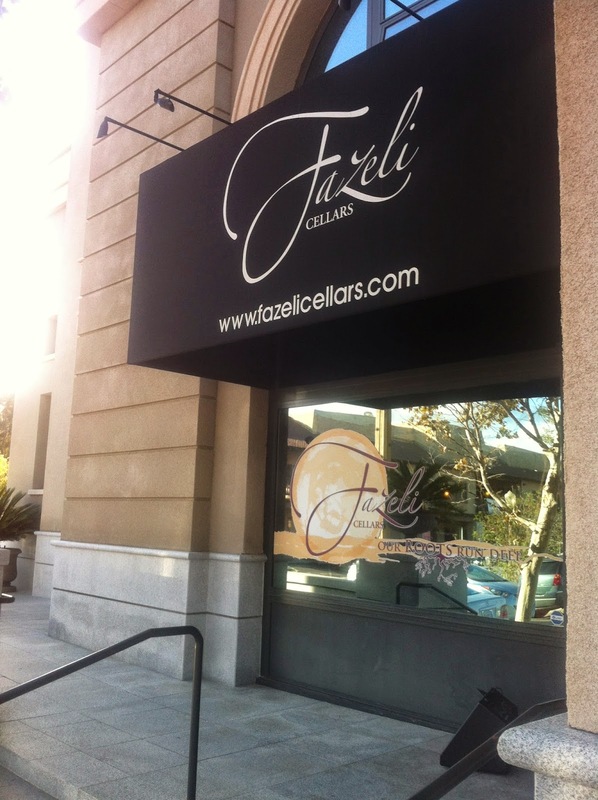 We visited this beautiful tasting room in town and had some very good and interesting wines…a great Sauvignon Blanc! 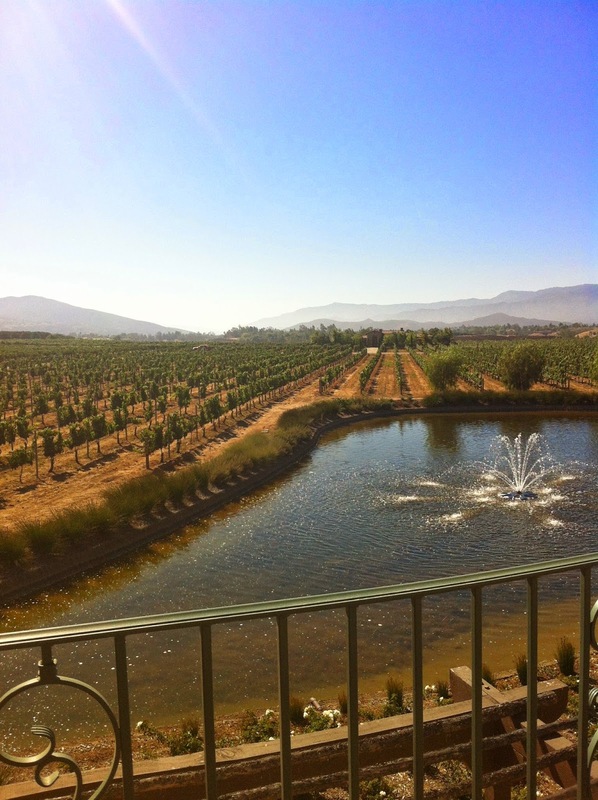 As we head into Wine Country you will see the pastoral rolling hills dotted with Tuscan and Hacienda style wineries….we are stopping at South Coast winery, which has a beautiful hotel, restaurant and an amazing spa, I've personally been to all three! 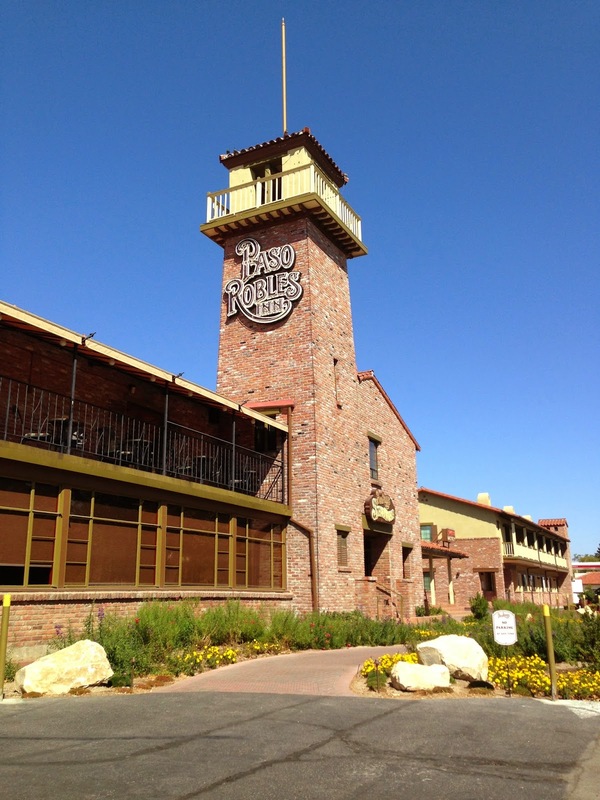 They have an enormous tasting room and gift shop, you could definitely go Christmas shopping there for the wine lovers in your life!Try there 2012 Wild Horse Peak Meritage, a tasty blend and the 2009 Wild Horse Peak Syrah! 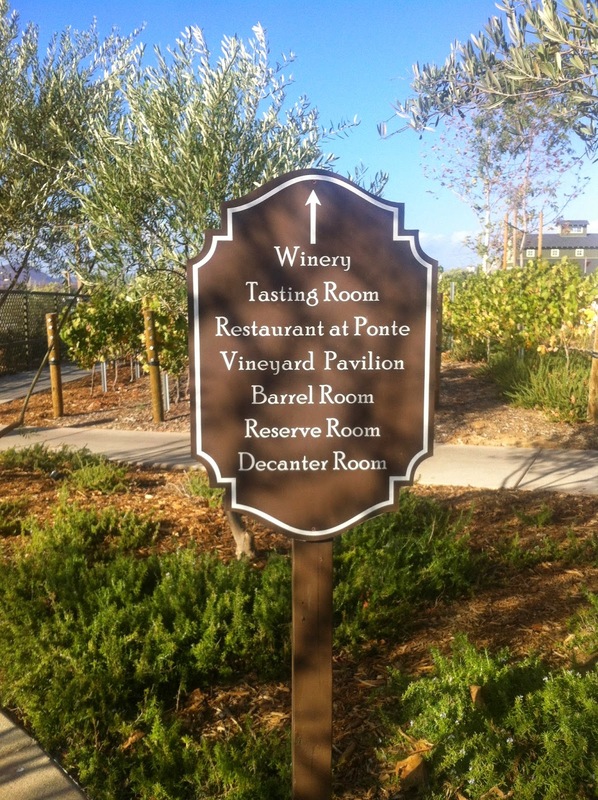 Our next stop is Ponte Winery which is my personal favorite, they do have outstanding wines and a gorgeous property…the hotel is charming and very "GREEN"! 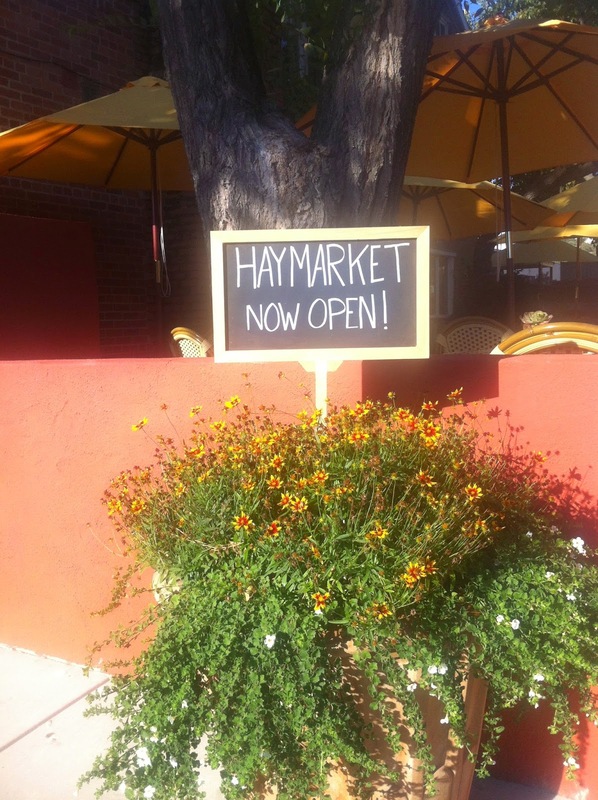 They also have two lovely outdoor restaurants with terrific food! MEET ME IN THE BARREL ROOM! 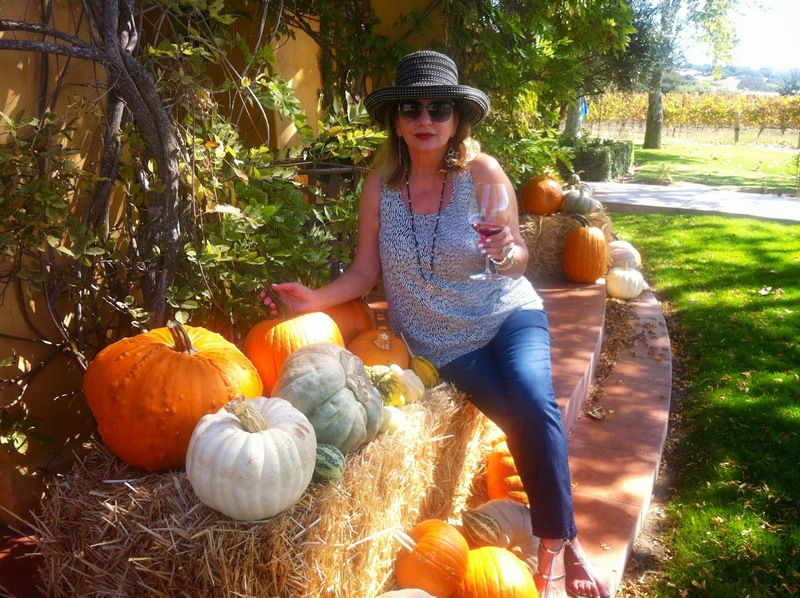 Their tasting room is also a spectacular gift shop as well…my favorite wines there are Pinot Grigio, Vermentino, Super T(Tuscan) & Doppietta, they are made with a very Italian syle, delicious! CURTIS GIVING THE GRAPES A BIG SQUEEZE! 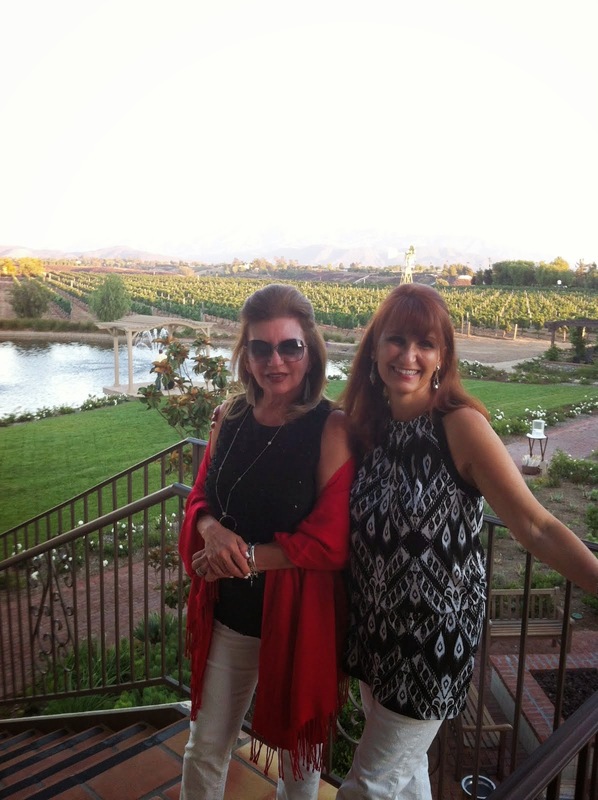 A wonderful time awaits you in Temecula, even if you are not a wine lover…God forbid! 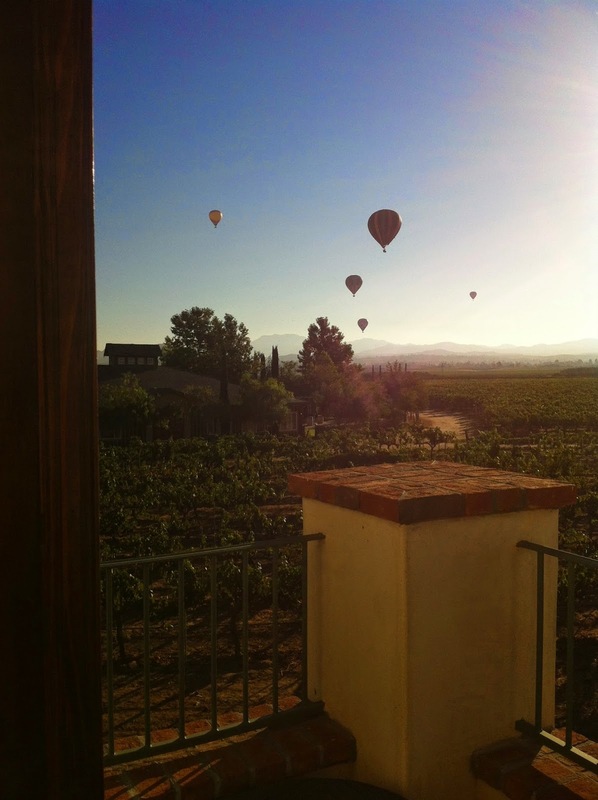 There is championship golf, horseback riding, hot air ballon rides great shopping and my national pastime WINE TASTING!!! GREAT SISTERS AND FRIENDS ENJOYING WINE, WINE AND MORE WINE!! 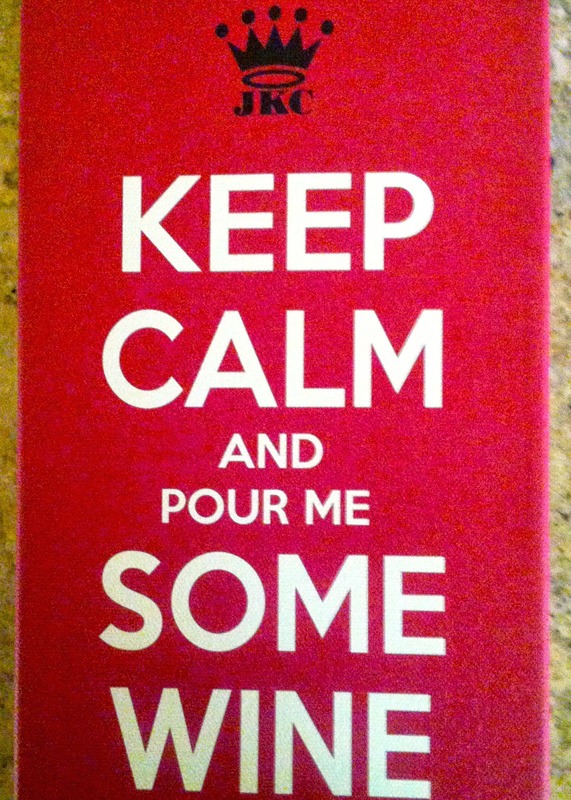 HAVE A WONDERFUL TURKEY DAY…ENJOY A GREAT PINOT NOIR WITH YOUR BIRD! ONE OF THE BEST VINTAGES! 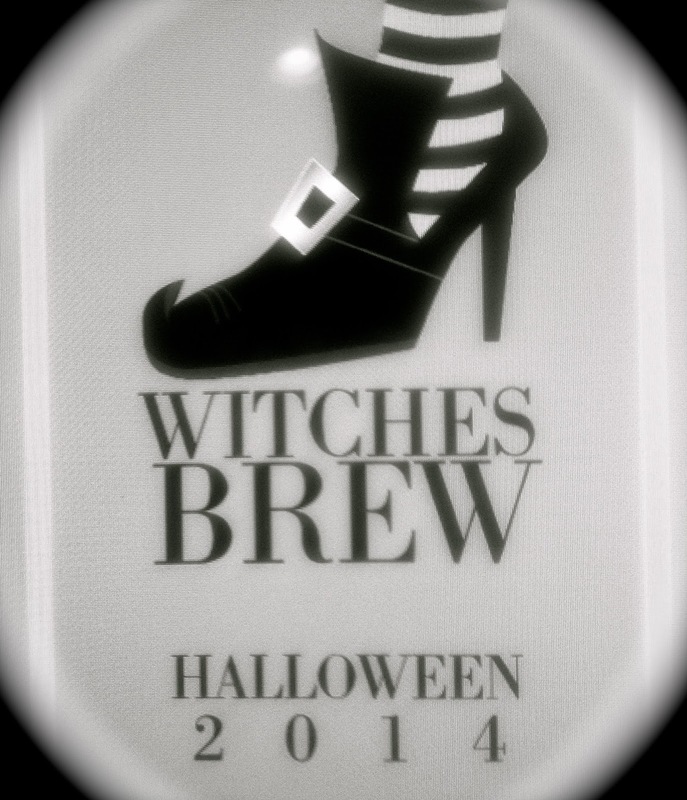 One of the more enduring symbols of Halloween, horror and folklore is that of the Witch. Ugly and evil, they are shown flying on their broomsticks, or stirring their cauldrons. Witches were not always thought of as evil or ugly. 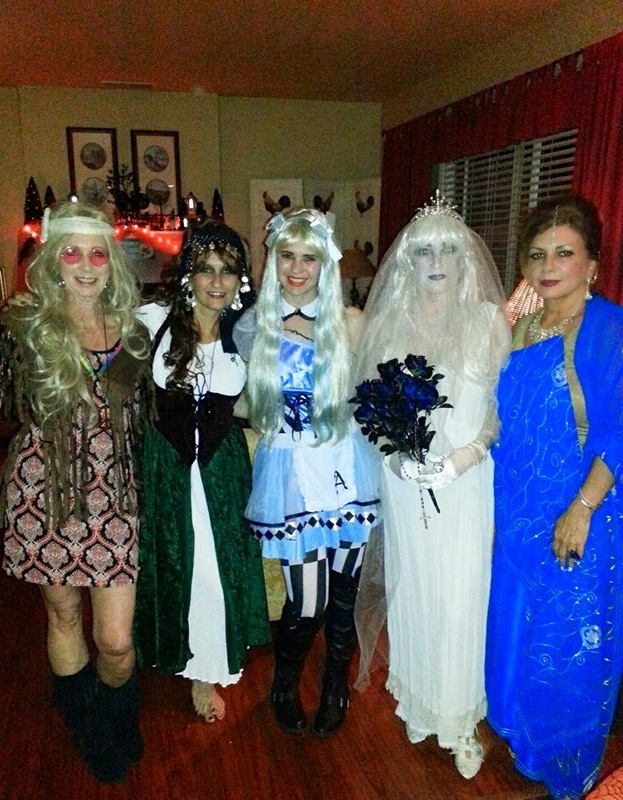 In ancient times, witches could be healers or wise women of the community. But as Christianity spread, they were often condemned because their power supposedly came from somewhere other than God. Later, accusations of witchcraft often were used as a way to keep talented, intelligent women from threatening the male supremacy of the day. They also could be used to make people toe the line with regard to community standards. Anyone who was thought of as different or rebellious could be accused. Thus men were often accused as much as women. The focus of witchcraft on medieval women can be seen in what have becomes the symbols of witchcraft: the broom, the cauldron (pot) and the cat. All of these are associated with the household and women’s work. Not surprisingly, these have also become strong symbols in modern Halloween and horror literature. 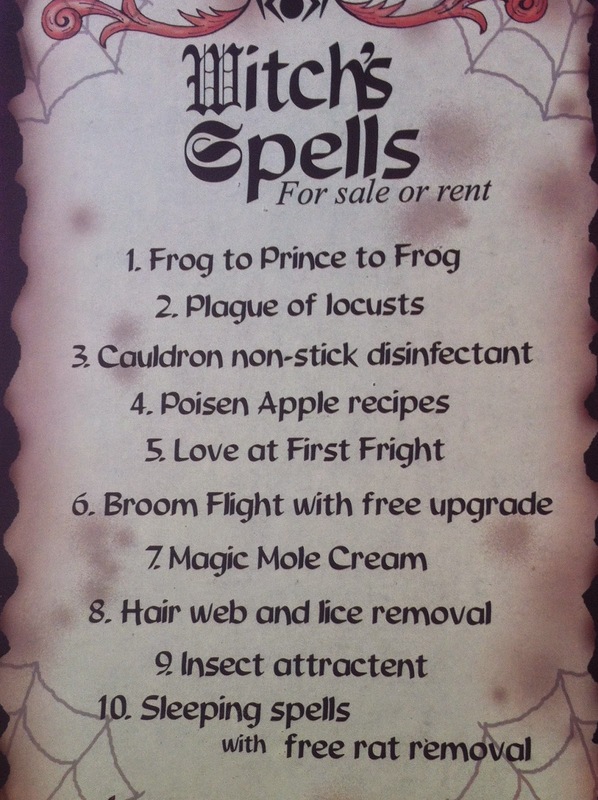 ACTUALLY SOME OF THESE SPELLS COULD WORK IN TODAYS WORLD!! In January of 1692, the daughter and niece of Reverend Samuel Parris of Salem Village became ill. William Griggs, the village doctor, was called in when they failed to improve. His diagnosis of bewitchment put into motion the forces that would ultimately result in the hanging deaths of nineteen men and women. In addition, one man was crushed to death; several others died in prison, and the lives of many were irrevocably changed.To understand the events of the Salem witch trials, it is necessary to examine the times in which accusations of witchcraft occurred. There were the ordinary stresses of 17th-century life in the Massachusetts Bay Colony. A strong belief in the devil, factions among Salem Village families and rivalry with nearby Salem Town combined with a recent small pox epidemic and the threat of attack by warring tribes created a fertile ground for fear and suspicion. Soon, prisons were filled with more than 150 men and women from towns surrounding Salem; their names had been "cried out" by tormented young girls as the cause of their pain. All would await trial for a crime punishable by death in 17th-century New England - the practice of witchcraft. 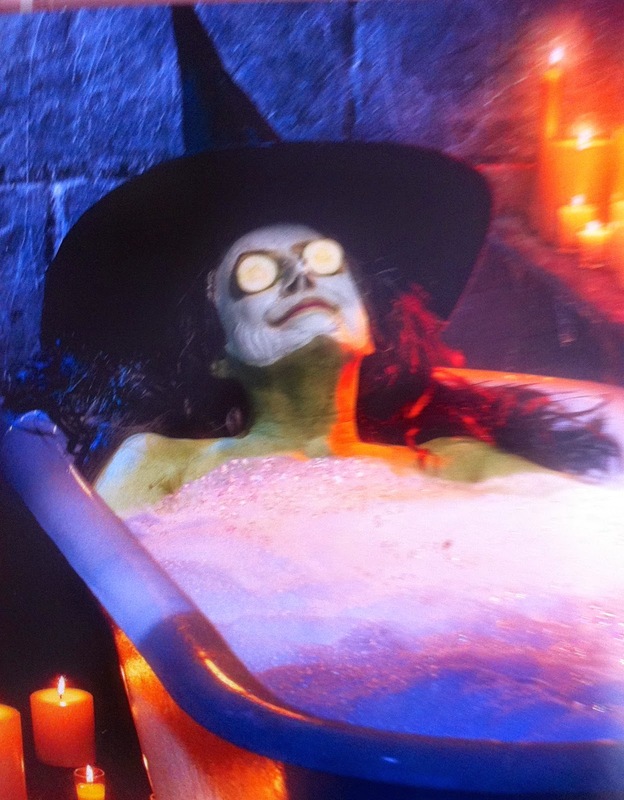 HOLY CANDLES……...SPA DAY WITCHES STYLE! 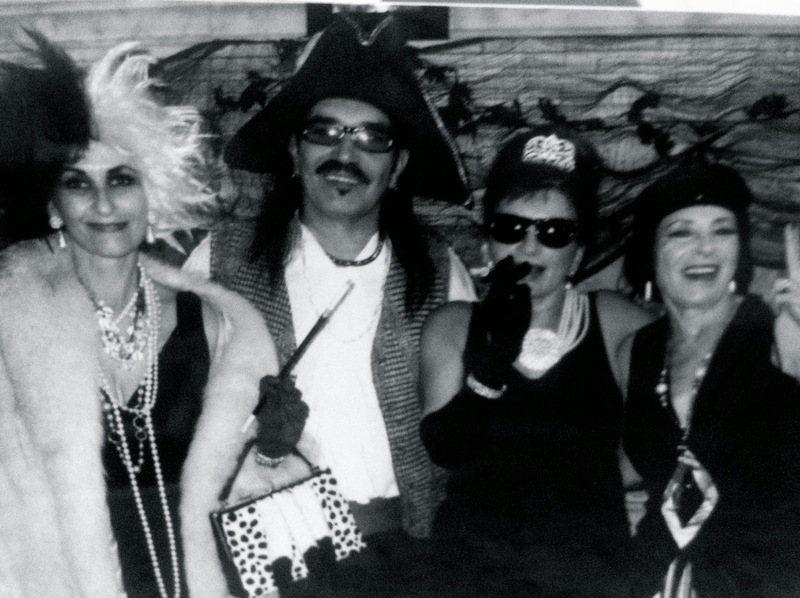 Halloween’s origins date back to the ancient Celtic festival of Samhain (pronounced sow-in). The Celts, who lived 2,000 years ago in the area that is now Ireland, the United Kingdom and northern France, celebrated their new year on November 1. This day marked the end of summer and the harvest and the beginning of the dark, cold winter, a time of year that was often associated with human death. Celts believed that on the night before the new year, the boundary between the worlds of the living and the dead became blurred. On the night of October 31 they celebrated Samhain, when it was believed that the ghosts of the dead returned to earth. In addition to causing trouble and damaging crops, Celts thought that the presence of the otherworldly spirits made it easier for the Druids, or Celtic priests, to make predictions about the future. For a people entirely dependent on the volatile natural world, these prophecies were an important source of comfort and direction during the long, dark winter. It was the biggest and most significant holiday of the Celtic year. The Celts believed that at the time of Samhain, more so than any other time of the year, the ghosts of the dead were able to mingle with the living, because at Samhain the souls of those who had died during the year traveled into the otherworld. People gathered to sacrifice animals, fruits, and vegetables. They also lit bonfires in honor of the dead, to aid them on their journey, and to keep them away from the living. On that day all manner of beings were abroad: ghosts, fairies, and demons--all part of the dark and dread. In terms of spreading Christianity, this was a brilliant concept and it became a basic approach used in Catholic missionary work. Church holy days were purposely set to coincide with native holy days. Christmas, for instance, was assigned the arbitrary date of December 25th because it corresponded with the mid-winter celebration of many peoples. Likewise, St. John's Day was set on the summer solstice. Samhain, with its emphasis on the supernatural, was decidedly pagan. While missionaries identified their holy days with those observed by the Celts, they branded the earlier religion's supernatural deities as evil, and associated them with the devil. As representatives of the rival religion, Druids were considered evil worshippers of devilish or demonic gods and spirits. The Celtic underworld inevitably became identified with the Christian Hell. Do you know why we carve jack-o’-lanterns on Halloween? The origins of this curious tradition actually date back hundreds of years, to the early Puritan settlers in the American colonies. The Puritans believed that every Halloween, the Devil would enchant the pumpkins’ faces so that they would come to life and say complimentary things about the legs of all the Puritan men, such as, “Nice legs. Very muscular,” and “Your legs are tremendous!” The man who got the most leg-based compliments from the jack-o’-lanterns would then be forced to spend Halloween in jail. To this day, we still carve faces into pumpkins on Halloween to keep the Puritans’ tradition alive! The custom of trick-or-treating can be traced back to the early religious beliefs of the Puritan settlers living in colonial America. According to Puritan lore, every Halloween, the Devil would knock on your door. When you answered, he would speak the foul words of a hellish enchantment and place an eternal curse on your household. To prevent this, Puritan families would wait by the door with armfuls of garbage so that when the Devil came and knocked on their door, they could stuff all the garbage into his mouth before he had time to utter the curse. Centuries later, we still observe this tradition, though the garbage has been replaced with candy and the Devil has been replaced with children. 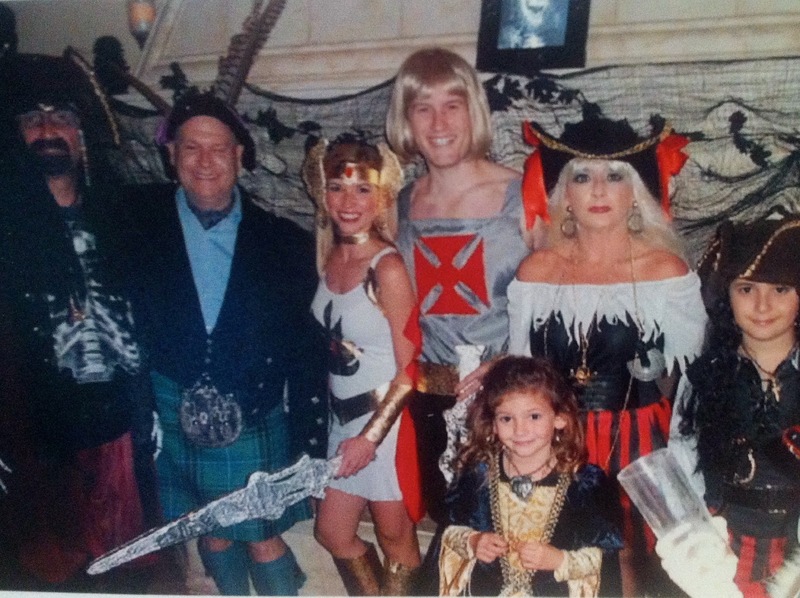 Have you ever wondered why we wear costumes every Halloween? The answer may surprise you! This longstanding tradition first began with the early Puritan settlers during colonial times. The Puritans believed that every Halloween night, the Devil would roam the streets with a spray bottle full of water and spray everyone he saw right in the face. The only people that the Devil wouldn’t spray in the face were witches, because witches are servants of the Devil and he thinks they’re awesome. In order to avoid getting spritzed in the face with water from the Devil’s spray bottle, the Puritans would all dress up as witches on Halloween night so that the Devil wouldn’t know which faces to spray and which faces to leave dry. 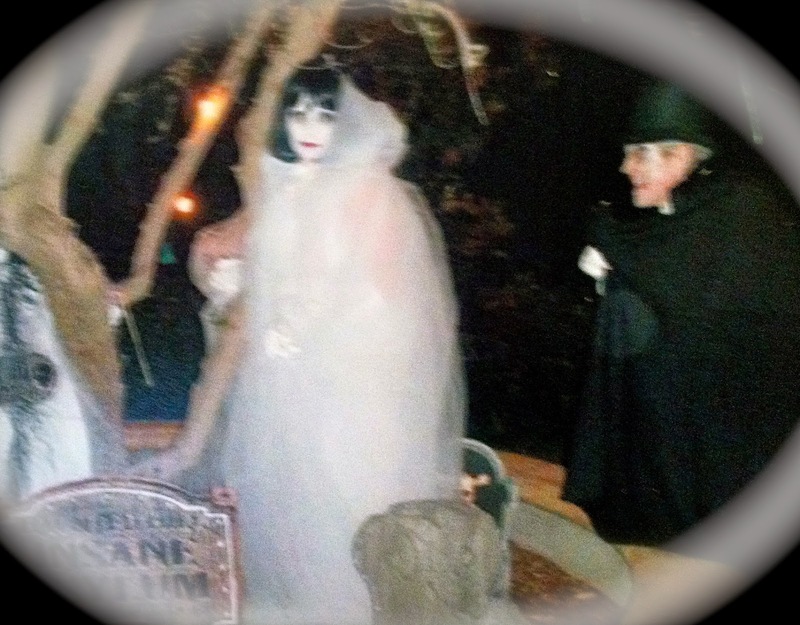 Even after all these years, we still keep this tradition alive by roaming the streets on Halloween night dressed as witches, ghosts, and other servants of the Devil in order to confuse Lucifer, should he ever try to spritz us in the face with water. WHAT IS HALLOWEEN WITHOUT A POTION OR TWO! DO YOU THNK THESE COSTUMES COULD BE OUR ALTER EGO'S! I JUST CAN'T GET AWAY FROM THIS PSYCHO…. WHEN MEN WERE MEN AND WORE SKIRTS! 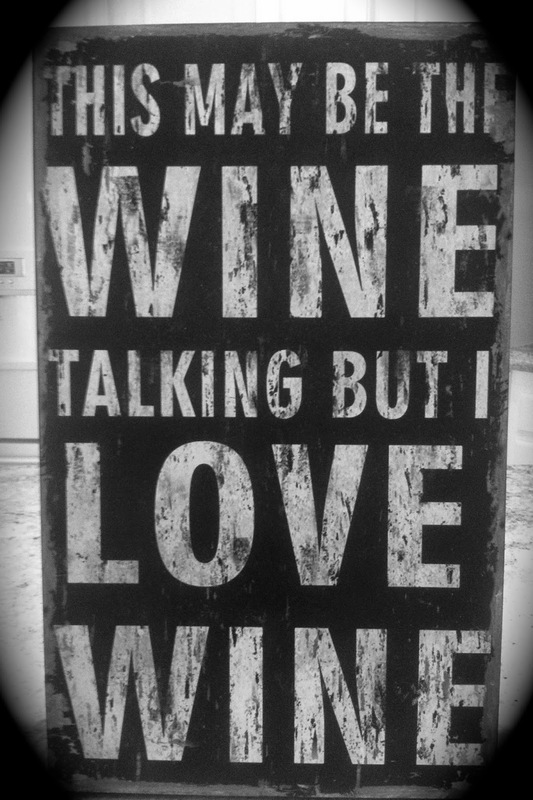 BRING ON THE WINE, WINE AND MORE WINE…. 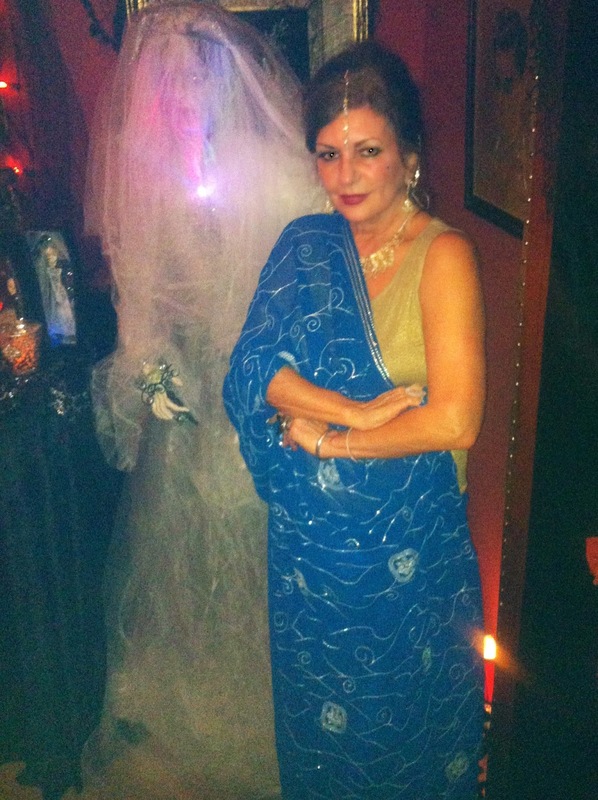 WHY WOULD ANYONE NOT LIKE HALLOWEEN…..?? 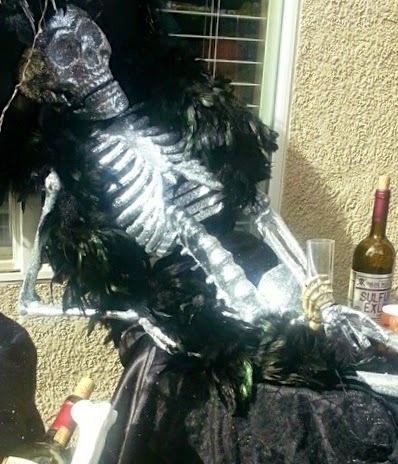 HALLOWEEEN IS YOUR CHANCE TO DRESS UP, PARTY, AND PRETEND THAT IT WAS THE COSTUME THAT MADE YOU DO IT!!!! 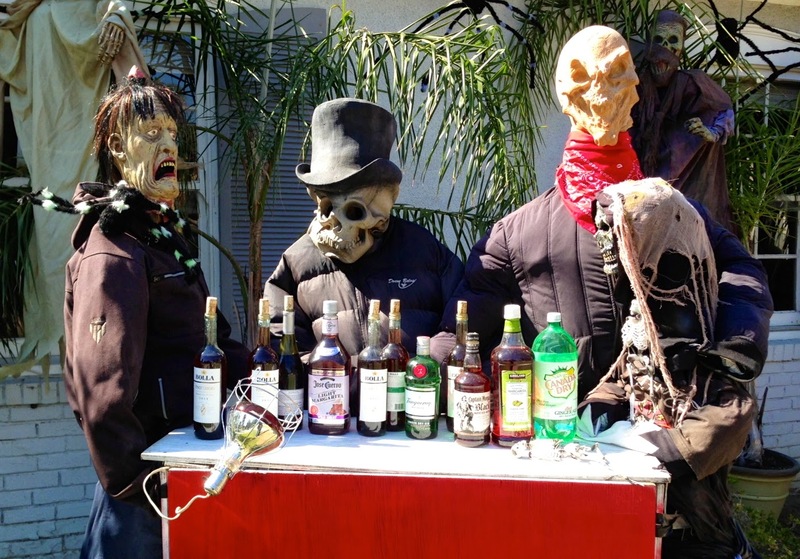 HAVE A WONDERFUL TRICK OR TREAT AND REMEMBER IT'S GHOULS NIGHT OUT SO SCREAM YOUR HEAD OFF AND CELEBRATE OF COURSE WITH SOME GREAT WINE!!!! 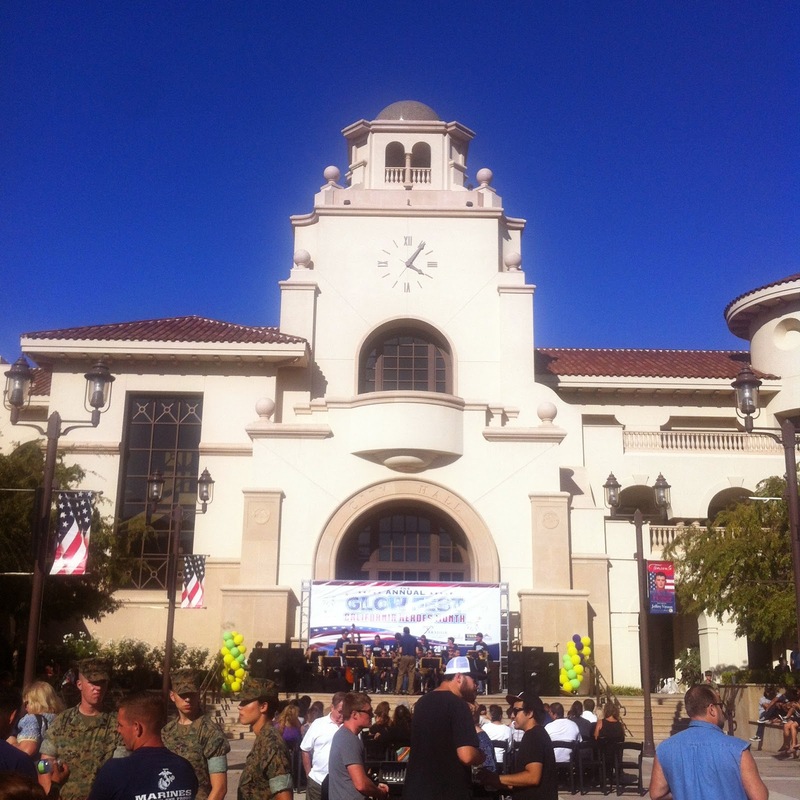 PASO ROBLES…THE GEM OF THE CENTRAL COAST! 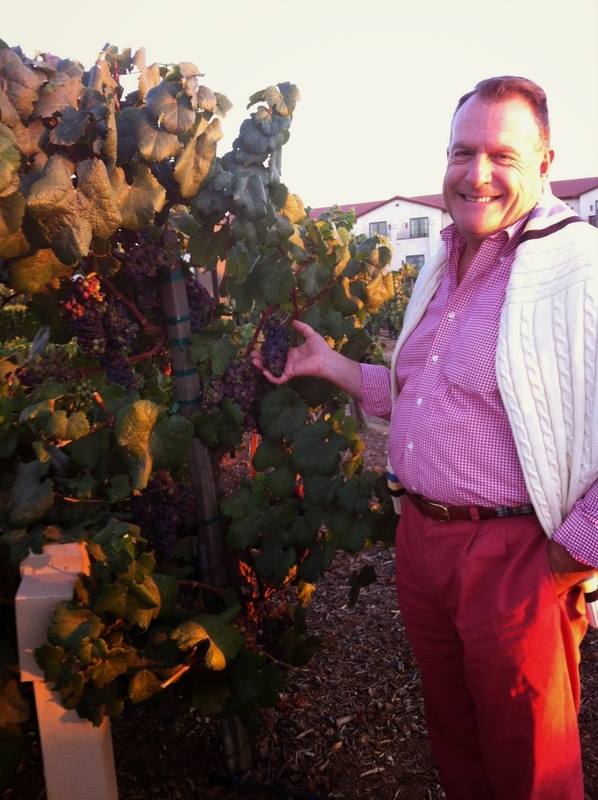 Well, it has finally cooled down in Southern California, thank God….It might finally be sweater weather! Our fall starts now, and contrary to popular belief we do get some foliage here, it just comes later, typically end of October, November…I for one have been under construction and under the weather….Finally feeling myself...I guess that's a good thing, I'd hate to feel like someone else…and my kitchen is almost finished…yeah!! 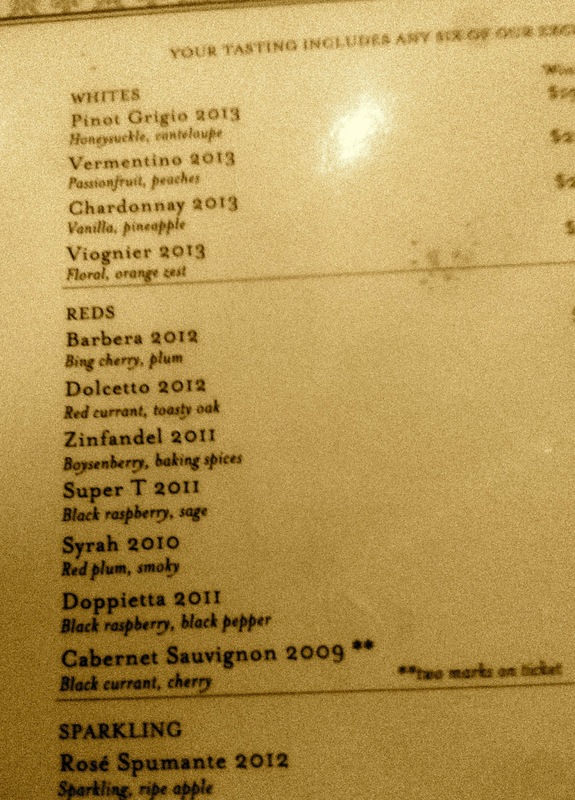 !..at least I had access to my wine refrigerator, that was one of the most important factors! Coming down from Napa valley last month, of course through San Francisco, I'm reminded of the beauty and diversity of this great city..we were headed to the central coast of California to the city of Paso Robles, a lovely and charming town that boasts amazing wines, gourmet food and fun loving people…what else could you want? 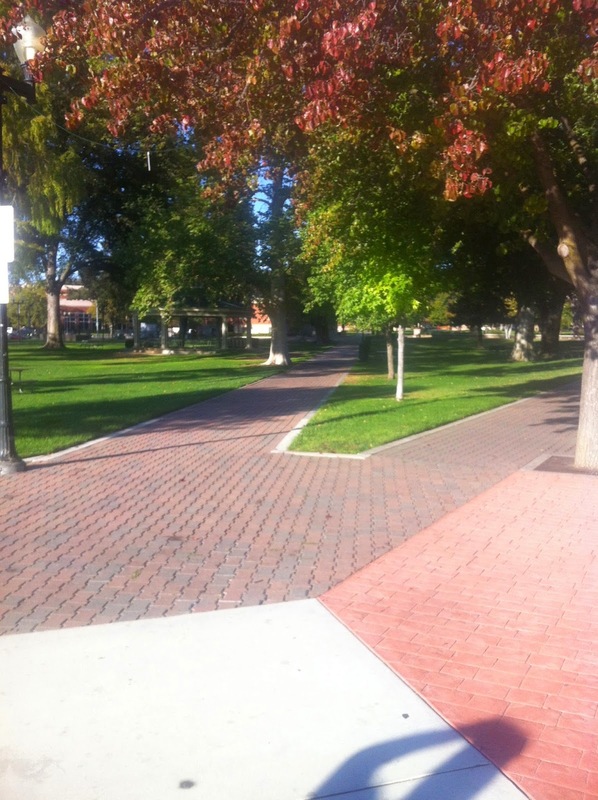 Paso Robles means a pass or walk through the oaks and very befitting because it's tree population is abundant and beautiful! Winding up and down the east and west sides of this small town is part of it's charm..it sits on the site of the King's highway or better known as the Camino Real, which was used by the Franciscan friars during the Mission era! A FEW OF MY FAVORITE THINGS!! 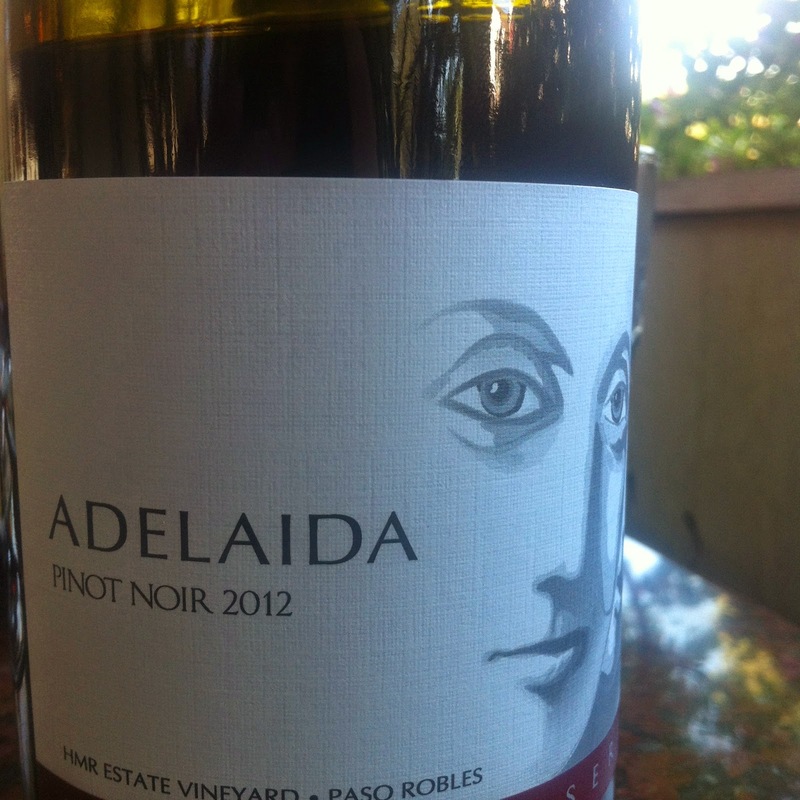 We starting our tasting tour on the west side of PASO, which is home to some of the best wines in the area…Adelaida road which winds up and down is home to TABLAS CREEK, lovely property that features Rhone style wines, next was one of my favorites, ADELAIDA CELLARS, they create wonderful Pinot's, Cab's and Syrahs..and they have a very welcoming staff….LONE MADRONE had some very interesting blends, and there Albarino was fantastic!! 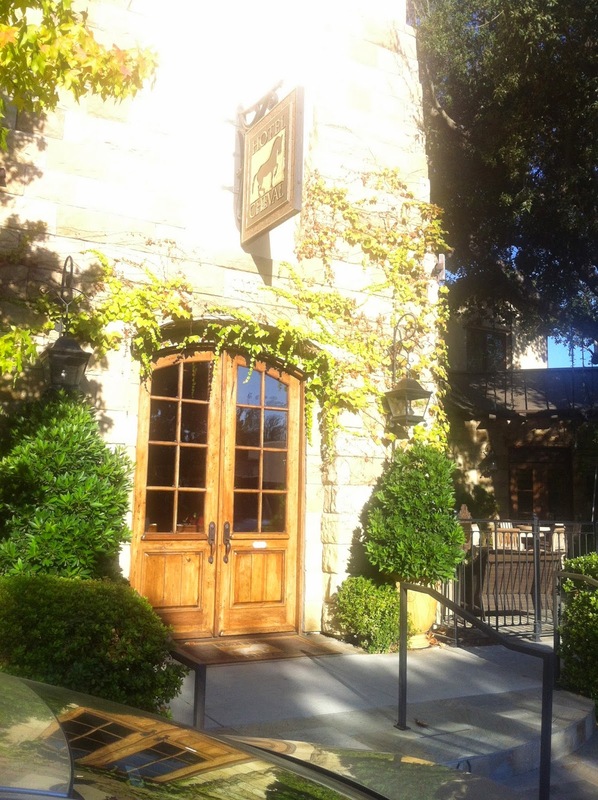 Next stop was a new find for us, HALTER RANCH…these quickly became our new favorite, amazing Bordeaux and Rhone blends featuring the ever popular GMS Blend…Grenache, Mouverdre, Syrah! Don't miss out on two very must see stops on this side of the mountain…DAOU and JUSTIN, they both are spectacular properties with views, think picnic!!! And don't forget to swing by PASOLIVO, for an amazing olive oil tasting! 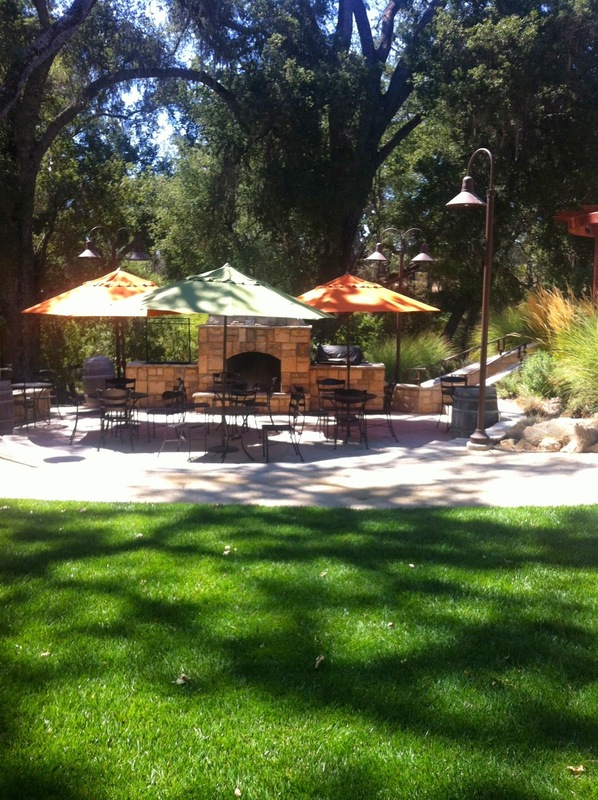 ONE OF THE LOVELY PATIO'S AT HALTER RANCH! 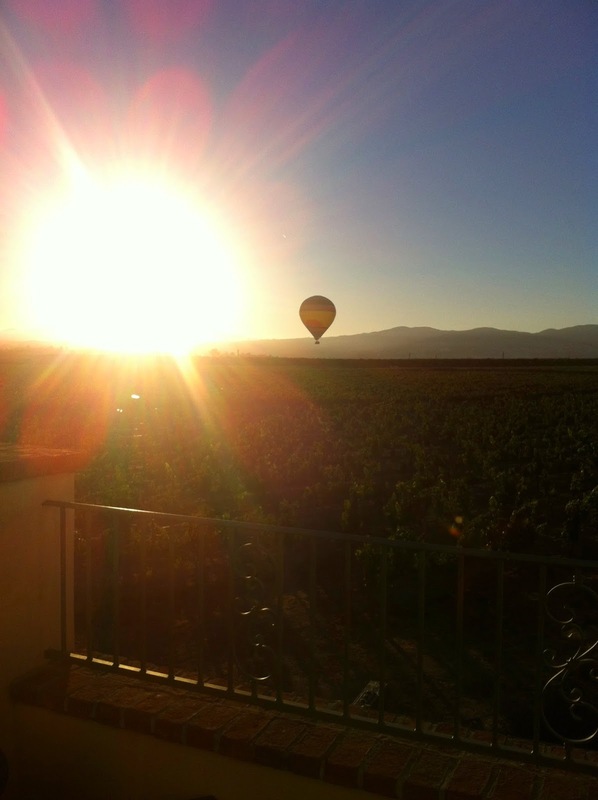 ANOTHER BEAUTIFUL DAY IN WINE COUNTRY! 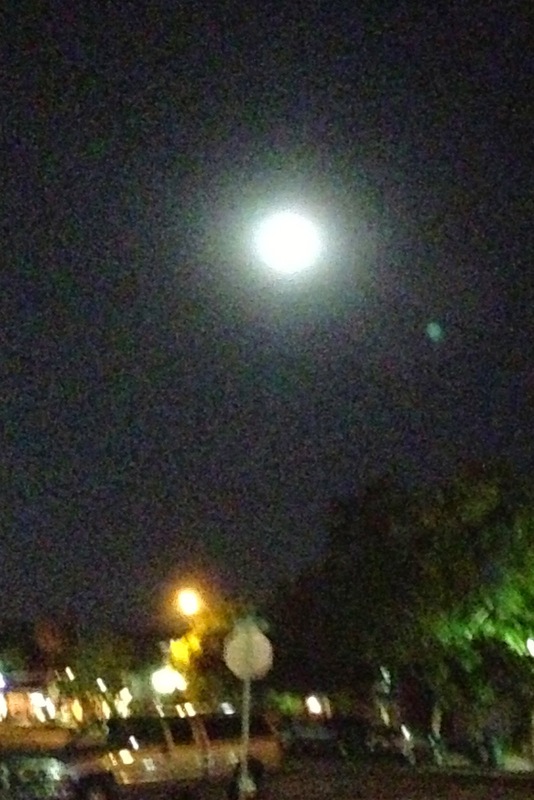 THE BEAUTY OF THE HARVEST MOON! !